Tonight is the live finale of season 3 of The Voice. After tonight’s show the winner of the third season will be crowned and the winner will receive a recording contract with Universal Records. 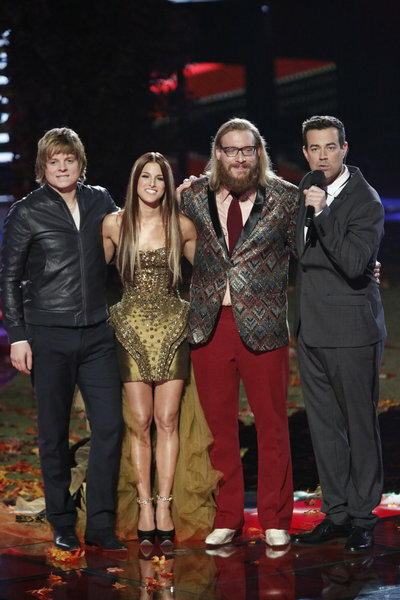 Left in the competition is Nicholas David, Cassadee Pope, and Terry McDermott. Tonight’s “Live Finale” is going to be an exciting one, which you won’t want to miss. So be sure to tune in for our live coverage of NBC’s The Voice – tonight at 9PM EST! THE VOICE SEASON 3 ‘LIVE FINALE’ RECAP HERE!